Is Your Hearing Loss From Tylenol? Did you know that Aspirin, Tylenol, Advil and every other over-the-counter pain reliever can increase the damage done to your hearing from loud noises? Besides pain relievers, many antibiotics, diuretics, nicotine, and other drugs can have the same effect. These drugs can damage your hearing on their own, too. At lower dosages, the direct damage is usually only temporary, but the extra damage form loud sounds is not. This means that every musician is at extra risk – especially drummers. This side effect is called ototoxicity. My new chapter in Anatomy of Drumming covers what you need to know about ototoxic damage and hearing loss in general. I’m making this chapter free for anyone to view for two reasons. First, I would like to make it available to those who have already bought the book. However, the more important reason is the information inside it. 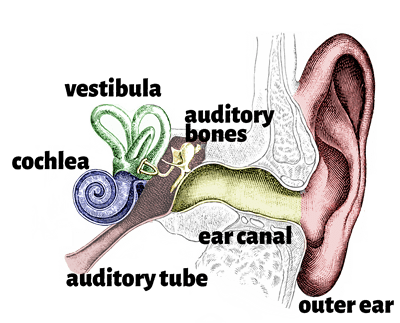 I’ve read a lot of guides on hearing loss, and am shocked to find none of them cover ototoxicity. This is something that people need to know about. You can read and download the new chapter here. After you’re read it, please share it!